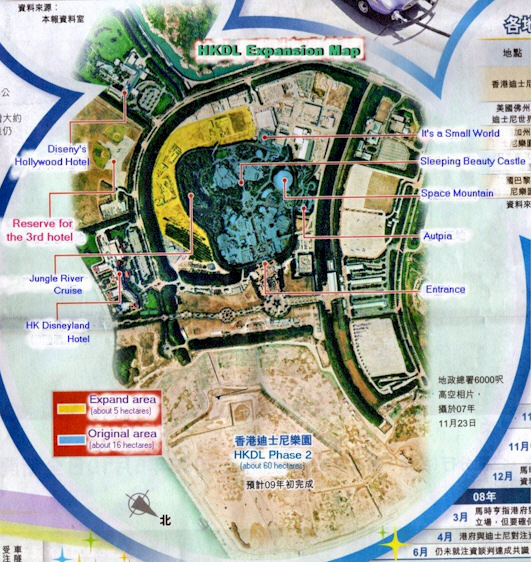 While Disney will pay for the new construction, the Hong Kong government will convert some $775 million of its existing loans to the park into equity. 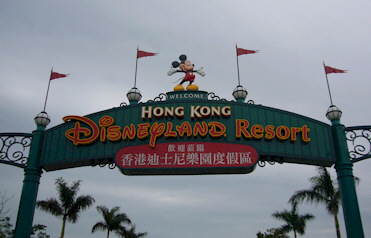 Disney’s stake in the park will grow from 43% to 48% while the Hong Kong government will retain a majority 52% stake. Here are the details of the three new theme areas, which will give Hong Kong Disney 30 new attractions and boost the park’s size by 23%. The path along Grizzly Trail offers high-spirited frontier fun in an abandoned mining town called Grizzly Gulch, set amidst mountains and woods. The town was founded August 8, 1888 – the luckiest day of the luckiest month of the luckiest year – by prospectors looking to discover gold. Bears have now started causing havoc at the Big Grizzly Mountain Mining Company. Guests visiting Grizzly Gulch are part of the action, experiencing hands-on water features, massive geysers and various leaking structures in the abandoned town. Life-size Audio-Animatronic bears set the story in motion on Big Grizzly Mountain Coaster, an adventure aboard a runaway mine train through town. Guests careen backward down an incline that propels them through twists and turns, before a launch sequence “blasts” the mine train out of the mountain. A Wild West stagecoach, an old time Jail House, and the world’s largest nugget of gold provide fun photo opportunities. Guests can relax with a Wild West refreshment at the old Saloon or shop for mining supplies and souvenirs at the Bear Necessities merchandise stand. Mystic Point is the site of mysterious forces and supernatural events in the heart of a dense, uncharted rain forest. In Mystic Manor, home to an eccentric world traveler and adventurer and his collection of exotic international artifacts, strange things are afoot as an enchanted music box releases its magical powers, thanks to a mischievous monkey. Inside Mystic Manor, a trackless ride system enables vehicles to move “freely” about the attraction as the story unfolds. Audio-Animatronic® figures and special visual and audio effects help tell the story of mystical phenomena. Within Mystic Point lies a beautiful garden full of relics and mythological figures, where guests discover a hidden world of illusions and mysteries that trick the eye. Guests can dine at the Adventurer’s Club amid a vast collection of unusual artifacts from around the world or purchase exclusive curiosities and collectibles at the Archive Shop. Andy, the young boy from the Disney·Pixar Toy Story films, has left his toys unattended in this immersive and highly themed environment, based on one of Disney·Pixar’s most popular film series. While Andy is away, the toys come to life and play…and Guests are invited to join! Oversized outdoor rides and photo opportunities allow Guests to experience the different perceptions of scale, and shrink to the size of a toy. One attraction includes a shuttle coaster which propels Guests along a U-shaped style track. A drop-style parachute attraction lets Guests join a “training mission,” plunging from a 25m tall tower. Guests will enjoy fun, immersive and interactive environments with life-size toys. A themed food kiosk provides a barrel of fun snacks and refreshments and Guests can shop for Toy Story inspired collectibles at the merchandise location. The park has been a disappointment since it opened in 2005. Disney figured it could conservatively draw 5.6 million guests in its first year, but that forecast wasn’t even close. The park entertained just 5.2 million guests in its inaugural year, and the introduction of annual passes during the second year, to stimulate repeat visits, was also a dud. Attendance fell by 23% to 4 million in the park’s second year. Disney hopes this expansion will not only help to boost the park’s performance but enable to compete with the much larger $ 3.59 billion Shanghai Disneyland once it is complete.